NY Post a Long Island man got stuck in an air conditioning vent on Wednesday morning while attempting to break into a dental office, cops said. Sean Maranzino, 32, was discovered by staff members at Calderon Dental in Bay Shore after being lodged into the passage for more than three hours, according to Suffolk County Police. Emergency services was called to safely remove Maranzino from the vent. 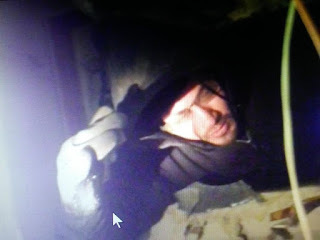 Cops said the suspect was also responsible for four other commercials burglaries on Long Island during the past week.